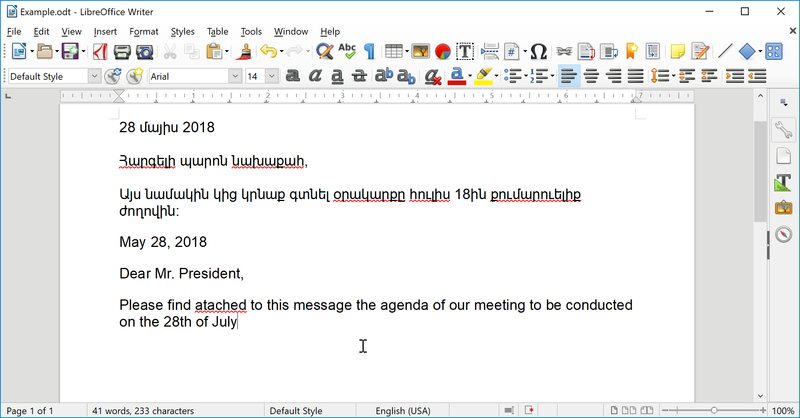 This guide will show you how to use HySpell Armenian Spellchecker for LibreOffice. 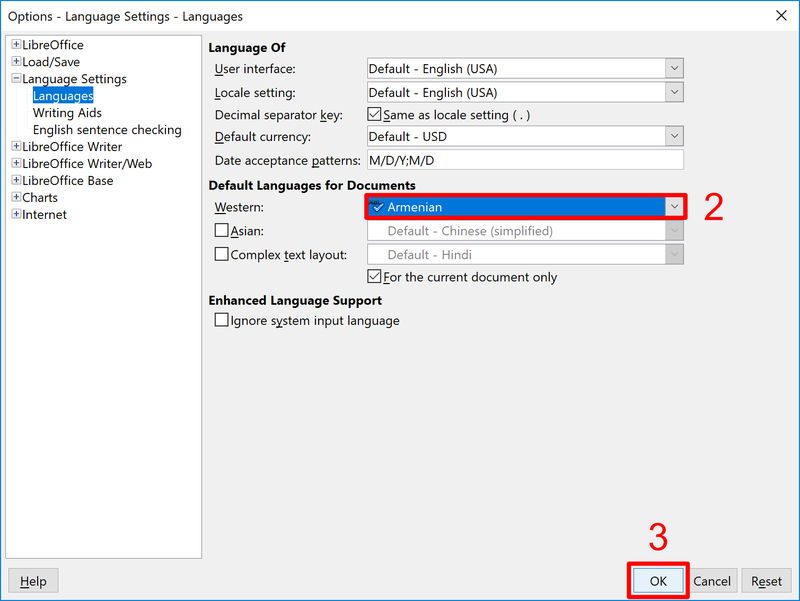 These instructions have been tested on Windows 10 with version 5.4.3.2 of LibreOffice, the latest version as of this writing. The instructions are the same for other versions of Windows, as well as for macOS and Linux. 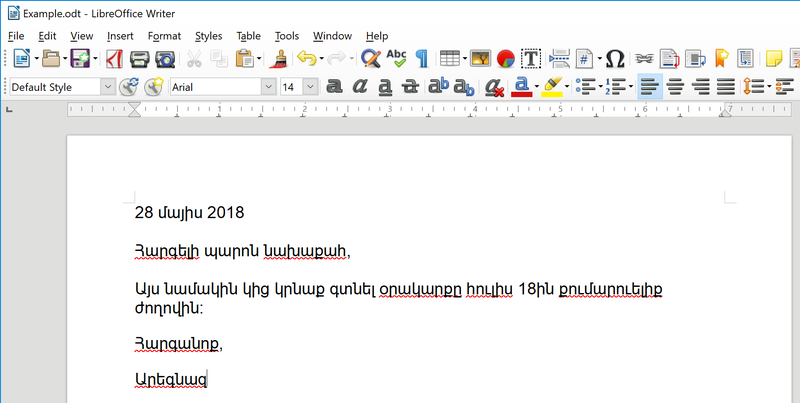 This guide assumes that you have already installed HySpell Armenian Spellchecker for LibreOffice. For instructions on how to do so, see the HySpell for LibreOffice Install Guide. This example will show you how to use HySpell inside a Text Document using LibreOffice Writer, a word processor similar to Microsoft Word. Similar steps can be used in a Spreadsheet (using LibreOffice Calc), a Presentation (using LibreOffice Impress), and a Drawing (using LibreOffice Draw). 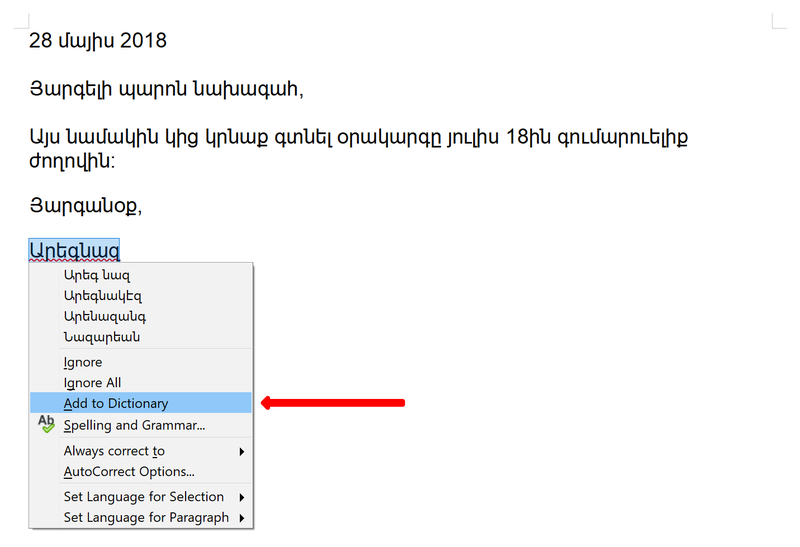 Alternatively, you may choose to set only the current paragraph or your current selection to Armenian (by selecting For Paragraph or For Selection, respectively, instead of For All Text). See Step 4 below on how to do this. To correct an unrecognized word, right-click on it and choose a word from the menu. To add an unrecognized word (such as a name) to the spellchecker's dictionary, right-click and select Add to Dictionary from the menu. If you don’t want to add an unrecognized word to the dictionary but still want to keep the word, select Ignore. This will remove the red underline. 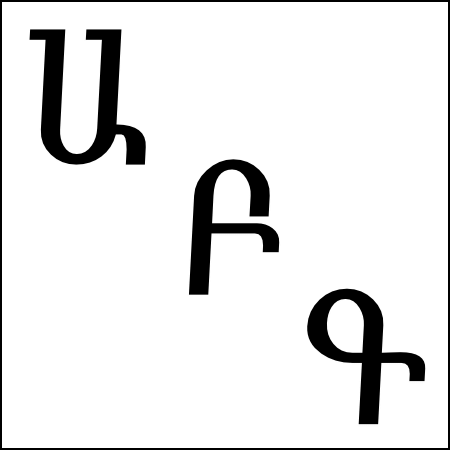 For documents written in more than one language, you can set the language for each portion of the text. This will allow the word processor to use the spellchecker corresponding to the text’s language. 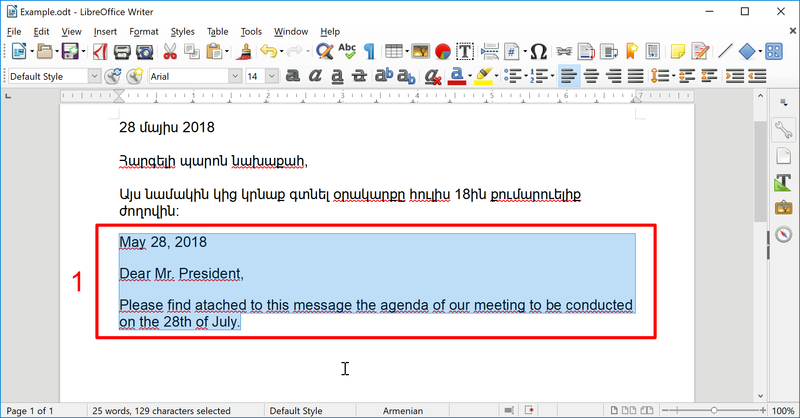 In the example below, the document has Armenian text at the top and English text below. We select the text written in English and set its Language to English. 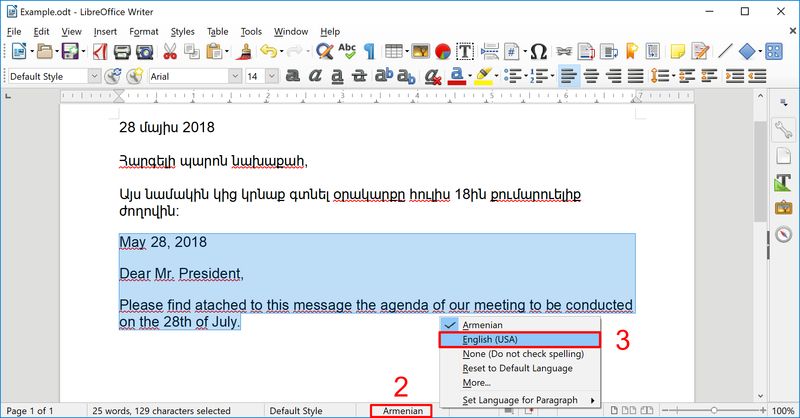 Note that the document’s language was set to Armenian in Step 2; this is why the English text is at first marked with errors, even though all of it (except for one word) is correct. The bottom center of the window displays the language of the selected text. 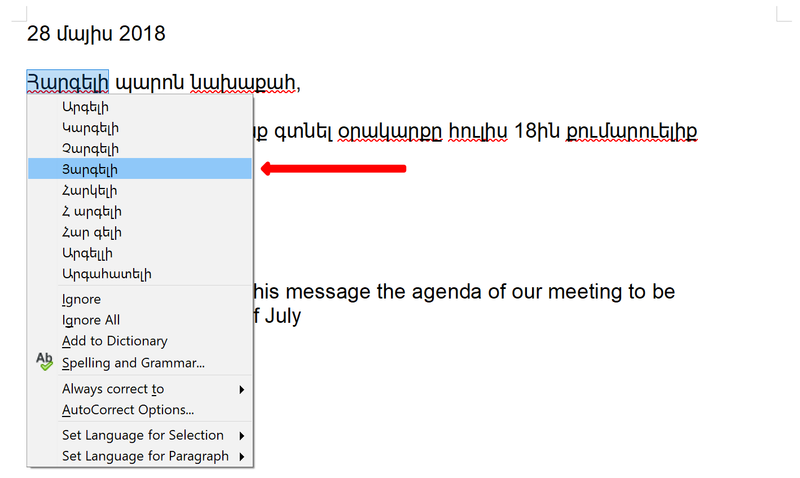 In this case, it is Armenian, because the default language of the document was set to Armenian (see Step 2 above).